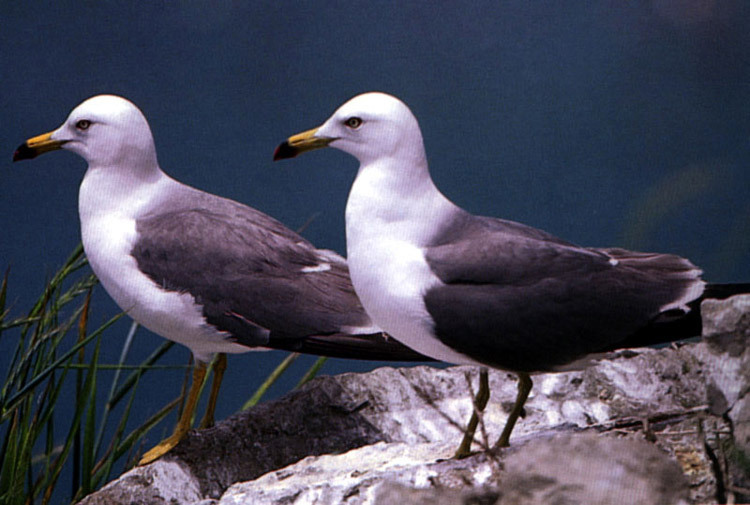 A Black-tailed Gull of Nando Island lives on uninhabited islands, and the island is also called Alseom or Gull Island. 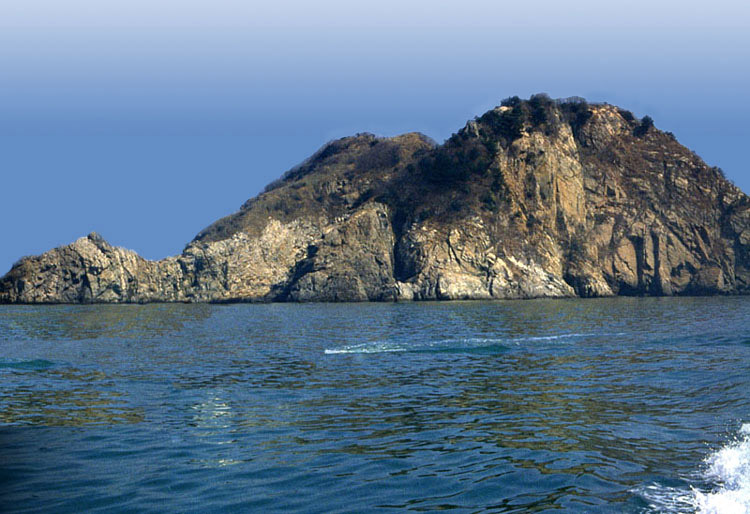 The edge of the island is composed of vertical rock walls. 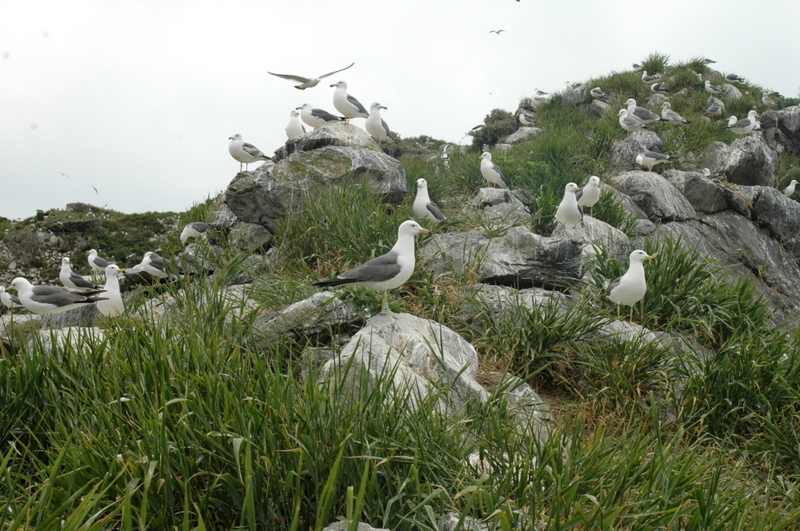 On top of the island are plants such as Sedum oryzifolium Makino, Artemisia dubia Wall, and Artemisia capillaris Thunb. 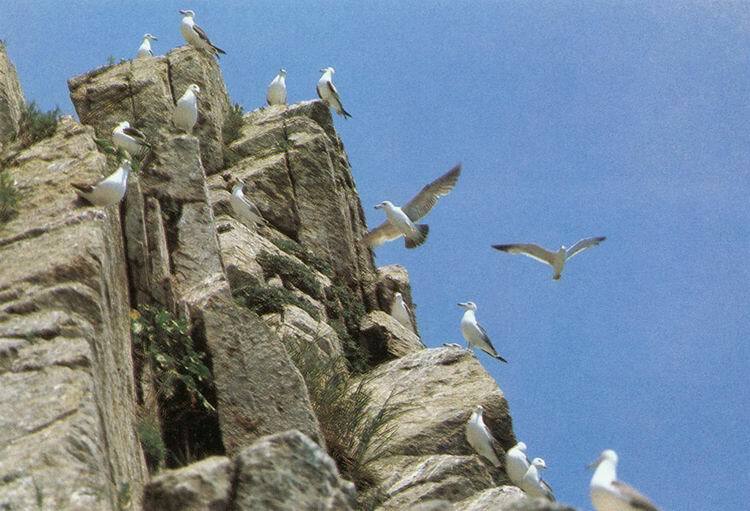 Approximately 15,000 Black-tailed Gulls breed in May or June and they lay about 2 or 3 eggs and prefer the rock wall rather than the top of the island. 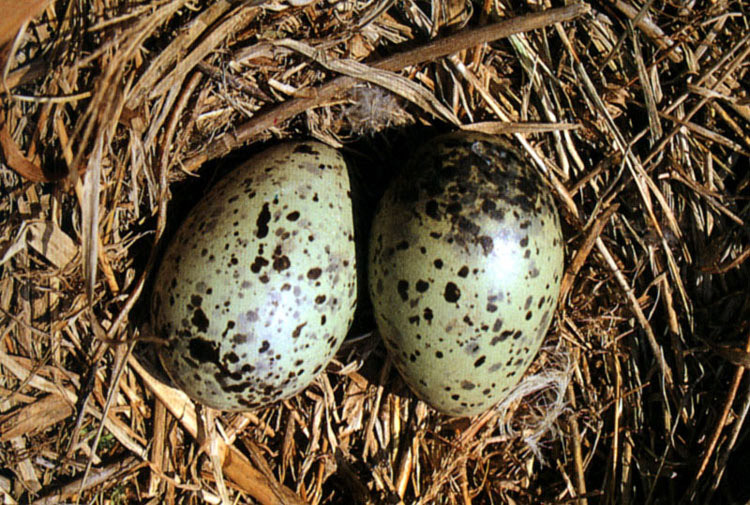 Except when they are laid on a steep slope, the eggs are stolen, which becomes a serious problem. 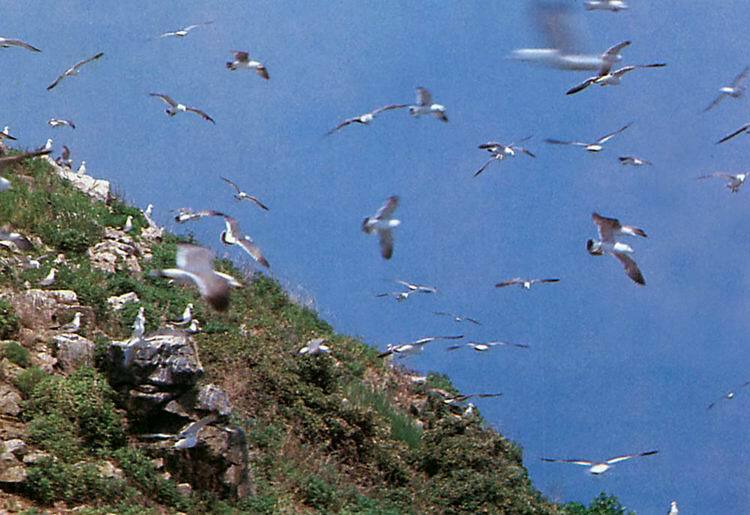 Since the breeding ground of Black-tailed Gulls on Nando Island is biologically valuable, it is designated and protected as a Natural Monument.